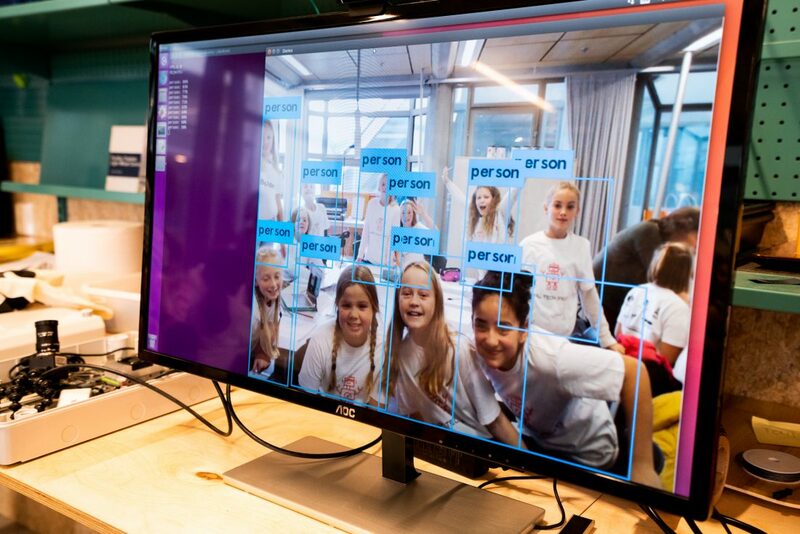 In September, Bolder was part of the 2018 Girl Tech Fest in Stavanger, Norway. This event is a powerful step towards encouraging the young girls of today to be explorers, tinkers, and creators for tomorrow. 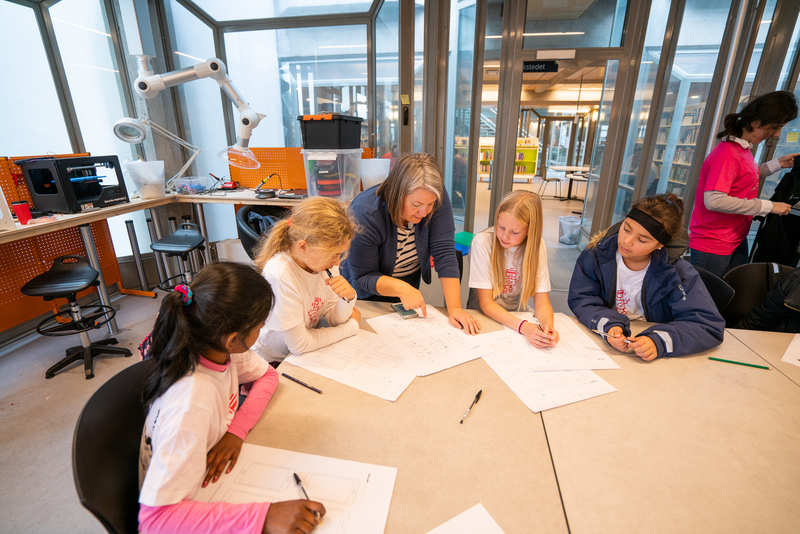 During Bolder’s workshops, the idea of prototyping and design thinking was introduced to several groups of 9-10 year old girls. One thing about Bolder, we constantly tinker. We tinker with thoughts, we tinker with technology, and we tinker with our physical spaces. We explore, question and create as individuals and as a community. One of the most common ways to explore new ideas is prototyping. This is done in many ways. It can be as simple as prototyping concepts in a discussion through iterations of the ideas. It can also be as complex as intricately putting physical equipment with complex code to create smart technology to test. In our world today it is easy to get caught up trying to solve everything or think through all the details. As a result, you end up missing out on making magic happen. So, we strive for an agile method of taking the problem in small steps; prototyping a possible solution; testing our theory; by looking at the results, we refine and do it all again. At the Girl Tech fest we set the stage with a simple problem, and let them create their own experience. We asked how they would want to interact with each other using an app. Some examples were given about games to promote ocean cleanup efforts to social media libraries. In the end, each girl took to the task. Some took it on individually and some as a group effort. They created fun examples like games to make meals together, traveling along with a mythical adventure to see physical areas in new dimensions and even apps around saving the environment. Armed with a problem to solve and some paper and pens, the girls were able to create exciting new concepts and solutions. Each attendee was given paper prototype models. These consisted of simple smart phone screen outlines to help them envision the possibility of the screen. The creative energy was high. After a few designs, the girls were shown some technology they can access freely to make their paper prototypes more interactive without a lot of skill. 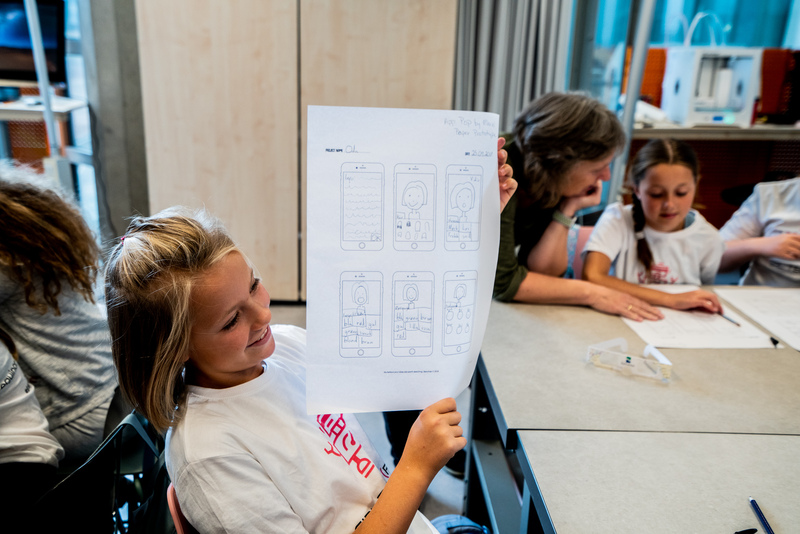 Using POP by Marvel and a smart phone quickly the girls were able to show actual app UX flow with their drawings and concepts. While the paper prototyping app made things fun and more engaging, it was not the lesson we were teaching. The lesson, much like the prototyping, was don’t wait. If you just start by looking at a problem and selecting a small solution, you can prototype and test it faster. You will improve by trying again. Keep improving and keep tinkering.